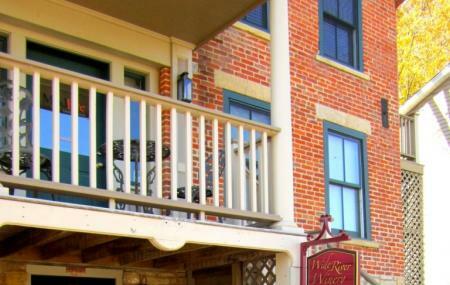 Find hotel near Wide River Winery Tasting .. Wide River Winery is named after the widest part of the Mississippi River. Thanks to frequent visits and loyal wine lovers, the production and sales have reached up to 85,000 bottles per year. The wines are sold through tasting rooms in both LeClaire and Clinton and also across stores in the whole of Iowa. The woman behind this tasting room is Dorothy O’Brien, who began growing grapes and making wine for her family in 1997. Her family members made this winery grow and become that famous. Dorothy’s daughter, Ann Pelton, and sisters, Martha O’Brien and Ceil O’Brien, focus on marketing and the business side of the winery. Many of the wines are named after family heritage. Dorothy is actually an employment law attorney and her husband is a retired Clinton County judge. Wide River Winery is one of the best attractions in the whole of LeClaire and you should definitely go for sampling atleast the 5 kinds of wines that they offer in their initial package! Rent a cab from your destination. Walk from American Pickers. How popular is Wide River Winery Tasting Room & Courtyard? People normally club together Pebble Creek Golf Course and Antique Archeology while planning their visit to Wide River Winery Tasting Room & Courtyard.